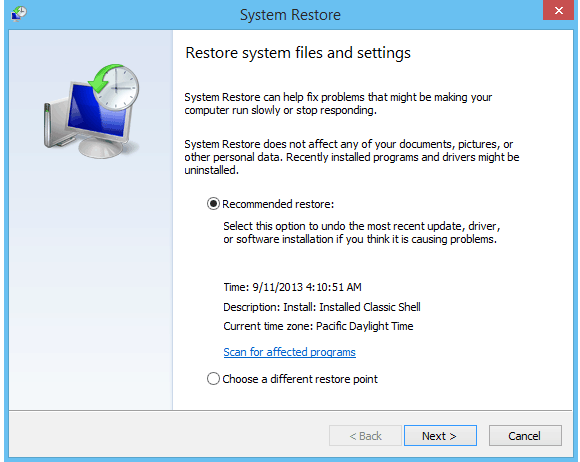 System Restore is a handy Windows tool you can use to revert the platform back to an earlier date. 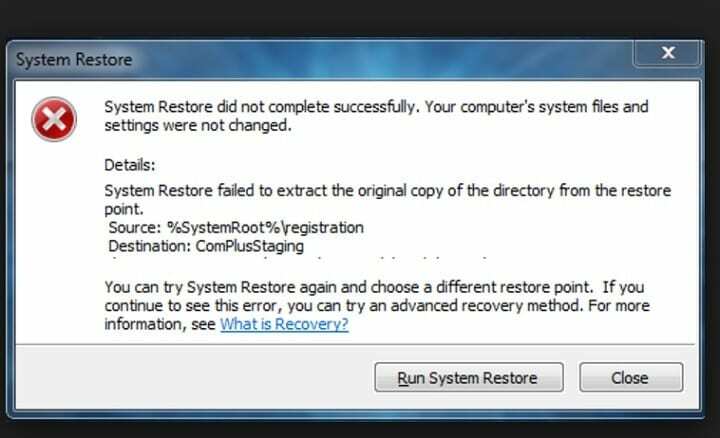 However, the tool doesn’t always work and when it isn’t, you can receieve an error along the lines of, “System Restore failed to extract the original copy of the directory from the restore point.” Luckily, there are a few potential fixes for that error. First, check that the System Restore tool is on. The Turn on System Protection option is usually selected by default but something could have happened to turn it off. You can select that option as follows. Select Create a restore point to open the System Properties window. Press the Configure button to open the window in the snapshot below. Click the Turn on system protection radio button if it’s not selected and press the Apply > OK buttons. Windows Enterprise and Pro users should know that the Group Policy Editor has a Turn off System Restore option. Checking that setting if you have a Windows edition that includes Group Policy Editor. You can configure the Turn off System Restore option as follows. First, open the Group Policy Editor by pressing the Win key + R hotkey. Input ‘gpedit.msc’ in Run and press Enter. Next, click Computer Configuration > Administrative Templates > System > System Restore in the left navigation pane. Click the Turn off System Restore setting to open its configuration window. Select the Disabled option, click Apply and OK.
Double-click the Turn off Configuration setting and select Disabled. Then, press the Apply and OK buttons to confirm the new setting. 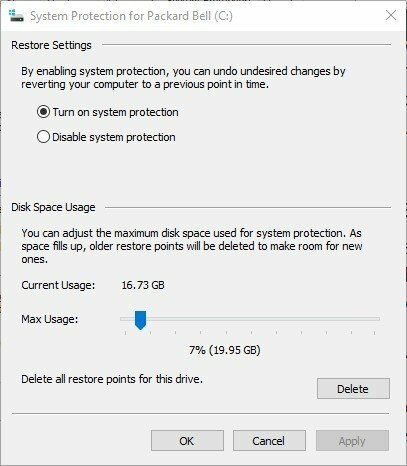 Selecting an alternative restore point might do the trick, but just elect a restore point that goes further back than the original one selected. The further back the restore point, the better, but keep in mind that System Restore also removes software. You can select the Show more restore points check box on the System Restore window to expand the number of points listed. 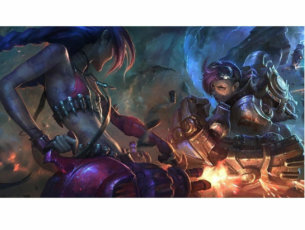 Maybe there are some system files that need fixing. If that’s the case, the SFC might fix the System Restore error. You can run that tool as follows. Press the Win key + X hotkey and select Command Prompt (Admin) from the menu. Enter ‘sfc /scannow’ in the Command Prompt and press Enter. The file scan should take about 20 minutes. If the SFC fixes anything, close the Command Prompt and restart Windows. It’s often the case that antivirus software can block System Restore. 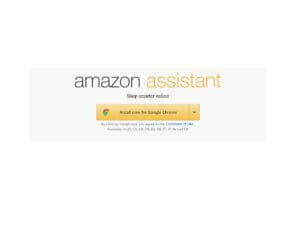 For example, Norton Antivirus has a Norton Product Tamper Protection setting that prevents System Restore from running. 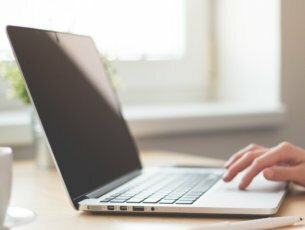 Closing your background virus software, or at least disabling it, could feasibly fix the error. To disable antivirus software, look for its system tray icon. Then you can right-click that icon and select a disable setting. Or, you can close the software completely by selecting an exit or close option on its system tray icon’s context menu. 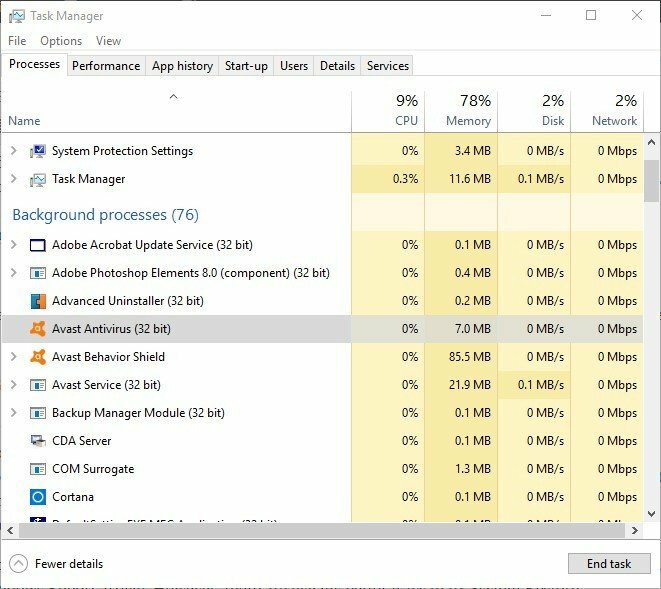 If you can’t find a close option on the system tray icon, open Task Manager by right-clicking the taskbar and selecting Task Manager. Then, select the antivirus program listed on the Processes tab and select its End task button. Alternatively, click the Startup tab to remove the software from Windows startup. Then, restart Windows and run System Restore. System Restore might work in Safe Mode. Put Windows in Safe Mode by holding the Shift key while pressing the Restart button on the Start menu. That will take you to a troubleshooting option screen. Select Troubleshoot > Advanced options > Windows Startup Settings > Restart from there. Select Safe Mode from an Advanced Boot Options menu. Now you can use the System Restore tool in Safe Mode. Those are some fixes for System Restore’s “failed to extract the file/original copy” error. As a last resort, you could also reinstall Windows as covered in this Windows Report article. However, there are usually better ways to fix System Restore.